The Clarke CA60 series of Autoscrubbers takes cleaning performance to a whole new level. 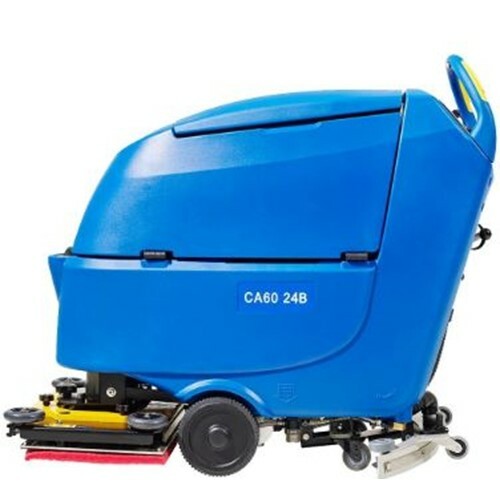 The CA60 features BOOST technology that applies up to 110 pounds of down pressure for one pass cleaning and the ability to remove floor finish to greater depths than ever before. Productivity is greatly enhanced with the 24-inch Boost head and large 16-gallon tanks for long range cleaning and fewer dump and refills. The BOOST deck can now be raised and lowered with the simple touch of a button, simplifying machine operation and minimizing training. We have also expanded the product line-up, offering a more affordable 20-inch disc pad assist machine and a 24 -inch BOOST machine to increase productivity.